I’ve never enjoyed jumping through hoops. There’s something about it that’s too in-genuine for my taste. This is why my favorite job interviews are those where you sit down and have an unforced conversation (that’s how I got my current job), and my least favorite are those that require you to give a perfectly rehearsed performance. 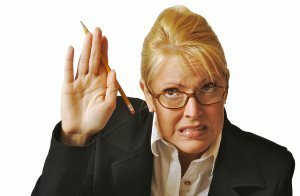 Speaking of rehearsed, let’s move on to my least favorite part of my least favorite type of interview: the questions I’m supposed to ask you in order to prove that I’m a worthy candidate. I’ve been around long enough to know exactly what I’m supposed to ask and why. And you’ve been around long enough to know exactly how you’re supposed respond. But we both know that neither of us is saying exactly what’s on our mind. So, just for today, let’s pretend that it’s all right to ask exactly what’s on my mind and, for the sake of fairness, let’s hear your honest answers in the comments below. There you have it — what’s really on my mind by the end of our interview. Now it’s your turn to share — what are you really thinking during all of this?